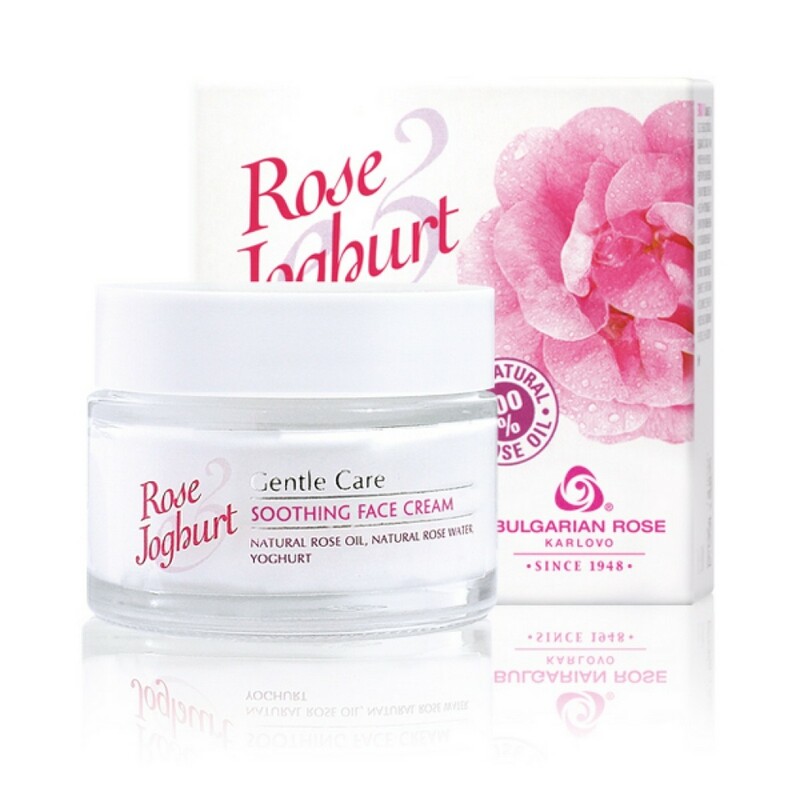 Bulgarian Rose Karlovo's soothing face cream from the cosmetics line Rose & Joghurt moisturizes, nourishes, rejuvenates and calms the delicate skin of the face. The special formula of the cream is enriched with effective natural ingredients to rejuvenate, nourish and protect the skin from daily stress and the harmful effects of the environment. The probiotic of Bulgarian yoghurt increases the flow of oxygen to the skin cells, promotes their renewal and stimulates the synthesis of elastin and collagen. The Bulgarian rose oil and natural rose water are known for their antiseptic properties and possess moisturizing, softening and refreshing effect on the skin. The certified natural ingredient Lactacil provides long-lasting hydration, soothes and refreshes the skin.The added argan oil and squalane protect the skin from premature aging and restore the hydro-lipid balance. After use, the skin is renewed, rejuvenated and moisturized. Particularly suitable for dry and sensitive skin. Apply a small amount of the cream on a thoroughly cleansed face every morning and evening. Avoid direct eye contact. For best results, use with the other products from the cosmetic line Rose & Joghurt, mainly the gentle cleansing milk and the delicate facial washing gel. Keep away from children. Do not use after the expiration date.